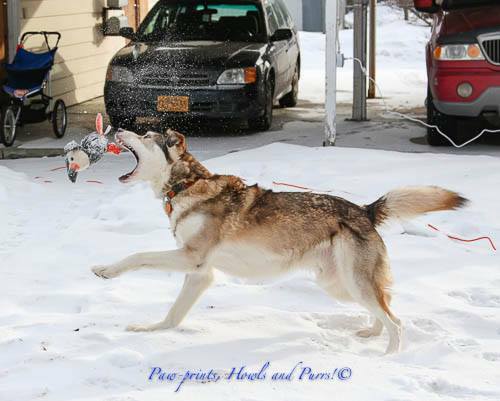 Kenai was adopted from the Mat Su Animal Shelter. 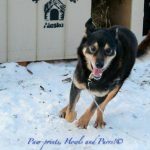 As he had previously been kept outdoors, his caretaker contacted us right away for help setting up a cable run and requested a doghouse to help make him comfortable while transitioning him to time in the home. Kenai received a 100 foot aerial run, a dohouse, straw, toys, treats and huge bone to keep him busy.